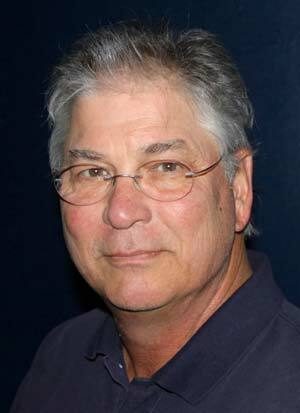 When I saw last night that Bev Norwood, longtime publicist for IMG, had died after a brief battle with cancer, I sat down to write a tribute. Then I saw "remembrances" by two colleagues -- Adam Schupak in Golfweek and Ron Sirak in Golf World -- and decided there really wasn’t much more I could add. If you covered the PGA Tour over the past 30 years, you couldn’t help but know Bev Norwood, and he was very much worth knowing. Because IMG managed Tiger until a year or two ago, not only did Bev control much of the flow of information about Tiger when Tiger was the Biggest Thing in all of Sports, Bev was just plain fun to know. He was diminutive man, wiry and wry, with a drawl from having grown up in North Carolina. He was also the source of a constant stream of commentary and wisecracks on golf and golfers, life in general and anybody who happened to wander into his field of vision. At tournaments, in the media center, Bev wouldn’t so much hold court as he would walk from one writer of cluster of writers to another, confirming or debunking rumors, or delivering the latest Tiger news that was suitable for public consumption, or just catching up on gossip. One of his best friends was the legendary Dan Jenkins and the two of them (and oftentimes one or two others) would find a corner in the dining room of the media center, a couple of old-timers watching the world go by. You could see them people-watching, then nodding in apparent agreement over something or somebody, or perhaps just over the absurdity of it all. At night, Bev and often Dan and others would repair to the bar in the media hotel, in whatever city it was that week. They never seemed to run out of things to talk about. On any number of occasions, I would find myself at lunch tables or hotel bars or sitting around the media center with Bev. It was always a joy. By virtue of his job, he knew it all – the people, the places, the dirty laundry, which he was not inclined to air publicly, and all that was about to happen or not happen, if you know what I mean. That, and his wry, running commentary, made Bev a man to know and like. 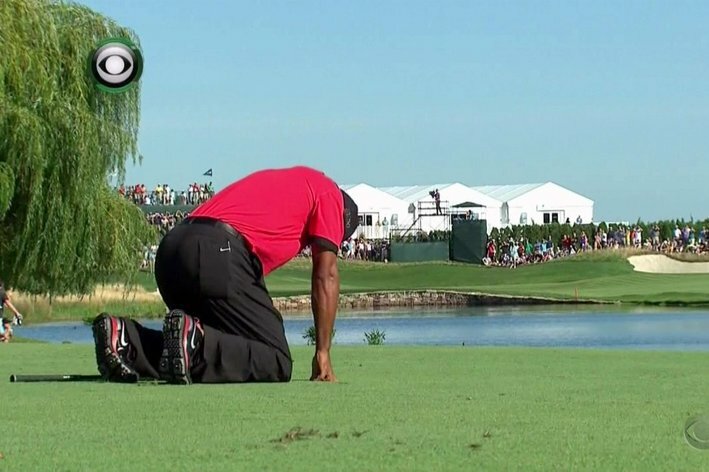 Watching Tiger Woods crumple to the ground in agony with a "back spasm" during the final round of The Barclays was an awful, painful spectacle, though admittedly more for him than for me. Nowadays, every time we see Tiger, now a high-mileage 38, wince from yet another injury, the prospects of him ever breaking Jack Nicklaus’ record of 18 majors seem ever more remote. The whole thing is enough to make me think back to the old days, circa 2000 and 2001, when Tiger was invincible, winning eight and nine tournaments a year, hitting shots that were previously unthinkable and oozing the supreme confidence of an athlete in total command. The standard line back then was that the only things that could possibly halt the Tiger Juggernaut were a bad marriage or a bad injury. Uh, well, a dozen years later, Tiger has hit the Daily Double in that regard. From afar – and Tiger prefers we all remain afar -- his personal life appears to be no longer in humiliating upheaval. Of course, who knew what was going on behind that gilded curtain before his notorious Thanksgiving Car Crash ’09? And who knows when it might all blow up again? But for now, it is the injuries that pose the biggest obstacles in his quest to overtake Nicklaus. Of course, the laundry list of Tiger’s injuries – knee, knee; knee, leg, wrist, elbow – could prove to be mere annoyances compared to a bad back. As anybody who has ever had serious back troubles can tell you, there is no all-consuming misery like a bum back. It owns you; it rules your life. I have some experience with a back injury, although nothing that would get any sympathy from Fred Couples. During a round five or six years ago, like a fool, I tried to power a ball out of heavy rough – you know, like we’ve all seen Tiger do a million times. I didn’t drop to my knees on impact but I knew instantly I’d done something to myself that was not good. I was able to finish the round but by that evening, the muscles from my mid-back down through my lower back had seized up. The next morning, I woke up in serious pain. It didn’t bother me too much until I played another round a day or so later. I was in pain on every shot, and it was impossible to take a decent swing at the ball knowing what was waiting for me at impact and on the follow-through. After that round, I gave my back a rest for a few days, but it did little good. Every time I would try to play, the searing pain would return. It wasn’t always there on the first tee, but at some point during the round, I would take a swing that left me doubled over, crumpled like Tiger at The Barclays. I tired Icy Hot, ice, heat, stretching, not stretching, whirlpools and serious couch blobbing. The relief was always temporary. I quit playing golf for two or three weeks to let the muscles heal. Full of hope, I made my eventual return to the links. Bad idea. Horrible idea. Two more failed attempts at playing later, I shut it down for the winter, figuring three or four months layoff would surely do the trick. It didn’t. For the entire golf season, and much of the year after that, the shooting back pains would return during most every round I played – without warning and without mercy Every time, I’d go, "Here we go again." Knock on wood, my back pain is finally gone. In hindsight, I realize I was lucky. Mine was only a pulled muscle(s) that I repeatedly aggravated, nothing compared to spine or disc problems. Anyway, right now, I don’t envy Tiger. Okay, maybe a little. I have just entered into what I hope will be a serious and lasting bromance. I say "bromance" because I prefer to think of my golf clubs as guys, not gals, like some sailboat named "Miss Misty" or a ’68 Camaro named "Little Darlin’". Insofar as my golf club has nicknames, they are male, my long-ditched driver named dubbed "Big Bertha" by Callaway notwithstanding. Anyway, the new arrow in my quiver is a TaylorMade R1 Black TP. It replaces my wildly-popular white-headed TaylorMade R-11, which had served me semi-loyally for three or four years. I am not one to cast aside a semi-loyal driver without good cause, which, in this case, was the fact that the TaylorMade R1 Black TP showed up in the mail about a month ago, a gift from my nephew-in-law. He’s a lawyer in North Carolina and I’d done some work to help him launch a website. Sending me the driver to say, "Thanks." It arrived, unfortunately, while I was sidelined from golf, recuperating from my recent hip-replacement surgery. Initially, all I could do was loaf on the couch and fondle the R1 Black TP -- in a very manly way, mind you – occasionally glancing over at my old semi-loyal R-11 in the corner for any signs of jealously. As my hip improved, I was able assume the position and take a few half swings in the living room, pining for the day I could actually put the R1 Black TP into action. That day arrived on Tuesday, nine weeks to the day since my surgery. I played nine holes with a couple of guys I know my club’s Thursday night Men’s League. R1 Black TP and I got off to a great start together. After hitting a few dodgy warm-up tee shots on the range that had had me concerned, I proceeded to bust my opening drive long and straight. This, of course, was an unlikely development with an unfamiliar club, aside from the three-month layoff. Not only was my maiden tee shot with the R1 Black TP long and straight, it was high -- an even unlikelier development. Normally, I do not, in fact cannot, hit high shots. All my golfing life, I have hit a low ball, and not necessarily by choice. But this maiden tee shot with the R1 Black TP, and two or three that followed, virtually soared where eagles fly. I could lie and tell you it was some swing change I made, but more than likely it was because I had used the little wrench that comes with the club to dial the clubface up to as high as it would go, something in the range of 12 degrees loft. True enough, I hit a couple of crappy tee shots toward the end of the nine, but that’s because I was getting tired and because it is hard to learn to trust your swing when you’ve got two titanium hips and a relatively fresh 6-inch scar. As satisfying as my return nine holes was, I am not inclined to get all swept up in a crazy love affair with the R1 Black TP. I know it will betray me soon enough. I know I will be hitting low-ball worm-burners before too long. I have played golf long enough to know that they honeymoon with my new R1 Black TP won't last forever. Just to be clear, I should refer to our journey together as a buddy trip, not as a honeymoon. Now, however, is not the time to fret about the future, or ask too many questions. Now is the time to swing for the fences and take the long, straight, high tee shots for as long as they come. Heartbreak will find me soon enough. Joe, glad to hear your recovery is progressing and you are back on the links. Good luck with the new driver! I realized it was Thursday a little while ago, which means the start of another PGA Tour event, so I turned on the TV for some background noise. Lo and behold, this week’s tournament was the Wyndham Championship at Sedgefield Country Club in Greensboro, N.C. I stopped what I was doing and sat down to watch for a while. To most golf fans, the Wyndham Championship is a second-tier tournament with a so-so field. It falls the week after a major – in this case the PGA Championship -- so the big names like Tiger and Phil are nowhere to be found; they’re home resting, or, more likely, off reaping the rewards of the millions they knock down. For me, the Wyndham Championship will always occupy a special place in my heart. Years ago, before every tournament had its sponsor’s name in the title, the Wyndham Championship was known simply as the Greater Greensboro Open, or the GGO for short. I grew up in a small town 2½ hours east of Greensboro. The 1961 GGO, when I was 10, was the first PGA Tour event I ever attended, not long after my father discovered golf and quickly became addicted. At the same time, my father bought me my first set of junior clubs and I, too, quickly became addicted. On our maiden trip to the GGO, my father and I were both awestruck by the whole scene -- the pros with their big bags and confident swings, the TV cameras and Sedgefield CC, a fancy club with a hilly Donald Ross layout that was nothing like our scruffy little 9-hole club back home. The trip to the GGO became an annual father/son ritual that lasted for the next four or five years. This was so long ago, it was in the years before the PGA Tour felt the need to put up ropes between the pros and the fans. You could stroll up the middle of the fairway, which I did. Once, I remember walking along with some pro, who put his arm around my shoulder and asked me about myself and about my trip to a big-time golf tournament. Whew, have times changed. We would drive up to Greensboro early Saturday morning, attend the GGO until the last shot was struck, then head to our room at the nearby Howard Johnson Hotel. One year, as we ate breakfast in the HoJo’s restaurant on a Sunday morning, in walked a couple of pros. I have a vague recollection that one of them was George Bayer, a good player and a bear of a man. But I know for sure that the other was Bobby Nichols, who a year or two later would win the 1964 PGA Championship. Nichols and Bayer no sooner took a seat on a couple of stools at the counter before my father began prodding me to go ask them for their autographs. I was a shy, scrawny kid, but after much hemming and hawing, I finally screwed the courage to give it a shot, to approach these exotic golf pros. I don’t know why I say "give it a shot" because they couldn’t have been nicer when I interrupted their first cup of coffee. I think Bobby Nichols signed my HoJo’s place mat. I also have a distinct memory of the 1963 GGO, won by Doug Sanders, he of the short backswing, colorful outfits and reputation for fast living. On that Sunday afternoon, as Sanders stepped to the 18th tee at Sedgefield with the victory on the line, the fans were stirring with excitement. Feeling the pressure, Sanders backed off his tee shot and asked for fans around the tee to settle down, let him hit his tee shot. "Come on, folks," said Sanders, "I need to win this thing because I’ve got a big alimony payment to make." Everybody laughed. The last time I sat down to write a blog for MyPhillyGolf was June 17, the Monday after the U.S. Open at Merion, plus the birthday of both my sisters, 15 years apart. But that’s another story. The next morning, before sunrise, I drove to Pennsylvania Hospital in Center City, four blocks from Independence Hall (and where both my children were born), to undergo total right hip replacement surgery. It had been less than a year since I underwent total left hip replacement surgery. Granted, most people would call that a lousy year for hips in the Logan household, except that both surgeries went well and my doctor assures me I will be back on the golf course in a few weeks. He is less enthusiastic about my future as an Irish dancer. There were days at a time that I didn’t go on the internet, check my email or read one of the dozen newspapers and magazines I subscribe to. I laid on the couch watching TV – well, I laid there; whether I was actually watching is debatable. Come to think of it, I must have been watching, because I have developed a pathological hate for cable news (CNN, MSNBC, Fox). Last year, when I had my left hip done, the big story on cable news was the murder trial of Casey Anthony. You could not escape it. This time, it was George Zimmerman’s trial for shooting Trayvon Martin. In the middle of it all, my big-screen, high-def TV died. One of my first trips out of the house, using my cane but still limping horribly, was to go to Costco to buy an even bigger, high-def-ier TV. In a sign of how far we have come as a civilization, my ex-wife’s husband came over and did the heavy lifting to install the new TV. I thanked him and promptly returned to the couch and took a nap. If there was a highlight of my time on the couch, it had to be Phil Mickelson’s two weeks in Scotland. I did not miss one minute of either the Scottish Open (I’d had to turn down an assignment to cover it for a magazine) and the British Open. No sport benefits more from the advancements in big-screen high-def-ery than golf. Castle Stuart, site of the Scottish Open, was designed by homey Gil Hanse, and it looked amazing on TV. We swapped emails and he was thrilled for Mickelson to win. A week later, I am still walking with a cane but I am off the drugs, stronger and trying to climb back onto the horse, if not into the golf cart just yet. I am surfing the web with zest, I am reading my email and my magazines -- I am plugging back into life. Today, I even sat down and wrote this. It’s a start. Greetings from the desert. Glad to hear you’re on the mend. Let me know when you’re ready for a winter escape. A day at the 16th hole at the Phoenix Open will do wonders for you. Joe, glad to hear things went well. Hope your back on the golf course and hitting the ball long and straight very soon. Take care. You forgot to mention your newly svelte look. Not the best way to lose weight, but whatever works. -- What a spectacular U.S. Open for Merion! The City of Philadelphia thanks you, Philadelphia sports fans thank you, the entire world of golf thanks you and hails you. Merion put its neck and its reputation on the line to host this Open and worked out better than anyone ever could have imagined. No player finished under par? That’s astonishing, especially after all the predictions (I made a few myself) that these guys could go low and embarrass Merion in the process. -- Who deserves the most credit? I’ve got two names. One is Matt Shaffer, the superintendent at Merion. That guy could grow grass in a cave. He worked miracles and he never panicked, even when rains of Biblical proportions early in the week threatened to wash away the course and the Open. The other is Mike Davis, executive director of the U.S. Golf Association. If you had to pick one guy to stand up and take a bow for the success of the Open, it would be Davis. He was the junior staffer who was sent to Merion in the early 2000s to tell the club it was no longer a viable candidate to host the Open. What he saw, and the people he met, changed his mind. Davis, in turn, convinced his boss, then-executive director David Fay. Together, they sold the USGA Executive Committee. When Fay retired a couple years ago and Davis succeeded him, the Open at Merion became his baby, right down to setting up the course each day. If you could buy stock in Mike Davis, I’d bet the family farm. -- One guy who deserved a share of the spotlight this week slipped in an out of town very quietly, walking the course for two days but otherwise drawing no attention. I am referring to Bill Greenwood, who was the chairman of Merion’s Green Committee from 1994 to 2006; he was instrumental in masterminding and ramrodding the restoration project that made the Open possible. Greenwood lives on Cape Cod these days and is no longer even a member of Merion but, arguably, none of this would have happened if not for him. Greenwood was at Merion on Tuesday and Friday, walking with Buddy Marucci and Brad Bradbeer, both members of the Green Committee with him back in the crucial years of the restoration. I spoke to Greenwood by phone on Saturday, and he was happy for Merion and happy to see the work of his committee come to full fruition. "Everybody is thrilled," said Greenwood. As Greenwood tells the story, it was the summer of 1995 and Merion was hustling to re-grass its greens in time for a 100-year anniversary celebration of the club the following year, which was going to include a members-only tournament on the East Course. Problem was, over the years, trees had been planted all over the course that had grown to cast long shadows over fairways and, more problematic, over several greens. Paul Latshaw, the superintendent at the time, told Greenwood. "I can’t grow grass in the shade." "This is Merion’s big moment," Greenwood said Saturday. Did he miss being part of the hoopla of the Open? "Nah, my big moment was six years ago." -- I know we all were pulling for Phil Mickelson to win the Open, and he would have been a great champion. But Justin Rose is a great substitute. An proper Englishman, Rose is a gentleman, very popular among his peers, and he has as a gorgeous golf swing. He was on the short list of great players who hadn’t yet won a major. Now that he has, look for him to win more. Rose is a fine addition to the list of remarkable championship Merion has produced. -- Working for the week in the big media center next to the big merchandise tent was a pleasure, especially listening to out-of-towners marvel at Merion and Philadelphia. Because there is hasn’t been a major here since 1981, and there is no regular PGA Tour stop, many of my media colleagues hadn’t been to Philadelphia before and knew very little about the city. What they saw, they loved. Most of them could not believe that cool little Merion had been quietly sitting here for all these years and they didn’t know a thing about her. -- Just because the Open was a success, don’t necessarily expect Merion to be back in the U.S. Open rota of courses every 10 years or so. I’d be surprised if they want to host another Open for another 20 to 30 years. Despite all the great publicity for Merion and the city, hosting an Open is a hassle and an imposition on the club and its members for years. Merion needs and deserves a breather. There’s another thing, which I hadn’t thought about until a Merion mentioned it to me the other day: There’s a bit of the passing-of-the-torch going on inside Merion right now. The U.S. Amatuer in 2005, the Walker Cup in 2009 and now the Open were the work of an older generation of very active Merion members. Now, their work is done. They are ready to step back and let a younger generation of members assume leadership roles at the club. It’s up to those younger people to want and seek out future Opens. -- Finally, this is my last blog post for a week, maybe two. Last summer, I was out of commission for a month or so because of left hip replacement surgery. Less than a year later, same thing on my right side. Assuming the surgery goes as well as it did last time, I’ll be back at my laptop in a couple of weeks playing golf again in 8-9 weeks, in mid- to late-August. Until then, I am your faithful golf correspondent. I agree completely but I think a debt of gratitude is also owed to the local townships, the neighbors and the volunteers. They were all great hosts and very friendly. Philadelpphia which always takes a black eye from the national media looked like the major league city we always knew it was. A speedy recovery Joe.